The following terms (the “Merchant Agreement” or “Agreement”) set forth the terms and conditions upon which you may use the Services to organize events or create, promote or collect sales proceeds on the Matcherino Site, and applies to those who use the Services for such purposes (“you” or “Partner(s)”). For terms not defined below, please reference the Matcherino Terms of Service. The definitions, and terms, of the Terms of Service are incorporated here. Matcherino reserves the right, at its sole discretion, to modify or replace the terms of this Agreement at any time. The most current version of these terms will be posted on our Site. You shall be responsible for reviewing and becoming familiar with any such modifications. Use of the Services by you after any modification to the terms constitutes your acceptance of this Agreement as modified. We will use our platform, MPP, to process all payments, including our network of Payment Processing Partners. The purchase through the Matcherino Site of any tangible or intangible property or right, including without limitation an entry ticket, player registration, reward or other good or merchandise; or the sale of other tickets, registrations, or other tangible or non-tangible items (e.g., merchandise, skin codes) related to an event; or any event-related donation, each constitutes an “Order”. You permit us to collect or deduct all applicable service fees (Revenue Share and ticket fees) associated with the Services as stated on the Matcherino Site or as otherwise mutually agreed upon in writing. In most instances, our fees are applied to each Order. As mutually agreed between the Parties, we will cause our Payment Processing Partners to transfer all Order proceeds to you that have been collected by our Payment Processing Partners, subject to (i) deduction of all applicable fees then due; (ii) our right of setoff against any debts or other amounts owed to us under this Agreement; and (iii) any other deductions authorized pursuant to this Agreement. We also offer the capability to allocate some or all of the Order proceeds to a designated Prize Pool, to you, or to a designated third party. Such payouts will be made only to the payout information designated by you under this Agreement or as mutually agreed by the Parties. Payouts are primarily made through an account set up by you with our designated Payment Processing Partner, by check or wire transfer, as we reasonably determine and as authorized by you. With respect to any events for which you use our Order processing Services, you hereby appoint Matcherino as your limited payment collection agent solely for the purpose of collecting Order payments through our Payment Processing Partners. You agree that an Order shall be considered the same as a payment made directly to you and you will sell or provide all advertised goods and services pursuant to such Order as if you had directly received the Order funds from the purchaser. You agree that in our role as a limited agent, you authorize us to (i) enable attendees to transfer or upgrade an event ticket or registration (if such transfers are permitted by you during the event registration process); (ii) hold, disburse and retain Order proceeds on your behalf pursuant to this Agreement; (iii) issue refunds to Order purchasers as set forth below; and (iv) manage credit card chargebacks as set forth below. In accepting appointment as your limited agent, we assume no liability for any of your acts, omissions, event performance or nonperformance and you understand that our obligation to pay you is subject to and conditioned upon receipt of the associated Order payments from purchasers. You further authorize us to delegate our obligations under this Agreement to certain affiliated entities, provided, that we remain liable for the discharge of our obligations under this Agreement by such affiliated entities. No payments shall be made to you with respect to any event that is cancelled. In addition, no Order proceeds shall be earned until that event is successfully completed. 3.7. Reserves and Right of Setoff. We reserve the right to retain a reasonable percentage of Order proceeds to fund a reserve as we determine to be necessary based upon the level (or expected level) of refunds, disputed charges, chargebacks, customer complaints, allegations of fraud or the underlying event’s risk profile until we determine we are no longer exposed to any material risk that would otherwise be mitigated by the reserve. Further, the reserve is subject to the right of setoff as set forth herein. Any credit card chargebacks or other transaction reversals initiated against us for any reason (except to the extent they are caused solely by our negligence) with respect to an event and all related credit card and payment processing, re-presentment, penalty and other fees and expenses incurred by us or our Payment Processing Partners in connection with such chargebacks shall ultimately be your responsibility and you agree to promptly and fully reimburse us for such amounts on demand. As part of our limited payment collection agency, we will use commercially reasonable efforts to manage the re-presentment of such chargebacks and reversals on your behalf and you authorize us to do so and agree to use reasonable efforts to cooperate with us in such re-presentment. However, we shall have no obligation to re-present any chargeback that we believe in our discretion is more likely than not to lose or that relates to a transaction that should be refunded in accordance with your refund policy or the provisions below. Our Payment Processing Partners only provide for the collection of certain currencies and for certain locations. We do not provide currency conversion services. 3.10.1. Refund Policy and Process. You agree to communicate a refund policy to event purchasers and prospective event attendees. All refunds for Orders must be processed through our MPP, unless otherwise agreed by the Parties. You can issue refunds to event purchasers directly through the Services within certain windows permitted by our Payment Processing Partners. If the refund is outside such windows, then it will need to be processed directly by you. Consistent with, and in addition to, your refund policy requirements, refunds that you are responsible for due to the cancellation or nonperformance of an event are subject to the following refund requirements: (i) you agree to notify Order purchasers of an event cancellation as soon as reasonably possible and prior to the event start time; (ii) you will provide clear instructions and contact information to Order purchasers so they can make refund requests; (iii) if you cancel only part of a multi-day event, then you agree to refund a pro-rata monetary value portion of the Order purchase price; and (iv) if you are offering Order purchasers an alternative “make good” in lieu of a purchase price refund (e.g., a discount on the next ticket purchase), then such offer must be of equal or greater value to the value of the Order for the cancelled (or partially cancelled) event and such value must be clearly communicated to the Order purchasers. You agree that you will be fully liable for the cost of chargebacks received related to purchases even if an alternative “make good” refund is given. You are legally bound to perform on any Order. Matcherino does not recognize any third party or agency affiliated with the event other than you. Matcherino is under no obligation to become involved in disputes between you and Users or any third party. Matcherino is under no obligation to become involved in disputes regarding the determination of the rightful Organizer and will not be obligated to make any changes to Organizer accounts or transfer of ownership. All disputes regarding refunds are between you and Order purchasers. In the event of a dispute, we may try to mediate, but ultimately it is your obligation to settle the dispute. We shall have the right to make refunds on your behalf as set forth below. We may provide your contact information to the purchaser to help resolve the dispute. Notwithstanding the foregoing, you authorize us to make refunds in the following situations: (i) you specifically authorize the refunds at the time and we still hold Order Proceeds; (ii) the event description presented to an Order purchaser at time of purchase is significantly different from the actual event; (iii) Order purchasers are unable to attend the event due to your failure to adequately plan for capacity, ingress or egress, or attendance will otherwise subject them to safety concerns; (iv) we believes in our discretion that specific Orders should be refunded under the your posted refund policy; (v) we believe in our discretion that the refund request, if not granted, will lead to a chargeback that we are likely to lose; or (vi) we believe in our discretion that a refund would be reasonable under the circumstances. You are solely responsible for determining which, if any, sales, use, amusement, value-added, consumption, excise and other taxes, duties, levies and charges (collectively, “Taxes”) apply to your use of the Services and you agree that it is your sole responsibility to, and that you will remit and report the correct amounts of all such Taxes to the applicable governmental authorities, including without limitation Washington state law H.B. 2163, even if we provide you with tax tools or tax calculators or related services that assist you in doing so. We do not represent, warrant or guarantee that any tax tools or tax calculators or related services provided by us to you will meet all tax requirements that may be applicable, which Taxes may vary based on the nature of your event, products or services, the nature of your tax status (individual, entity, business, consumer, etc. ), your location, the location of your Order purchasers, and you hereby release us from any and all liability with respect to your use of the tax tools, calculators, or related services. In the event that a governmental authority requires us to pay any Taxes attributable to your use of the Services, you agree to promptly and fully reimburse us for such Taxes upon demand and all costs, penalties, interest and expenses related thereto. By electing to use the Services, you represent and warrant that: (1) you are not located in any country to which the United States has embargoed goods or services of the same type as the Services; (b) you are not an entity or under the control of or affiliated with a person or entity that (i) appears on the U.S. Office of Foreign Assets Control’s Specially Designated Nationals List, Foreign Sanctions Evaders List or Palestinian Legislative Council List; (ii) appears on the U.S. Department of State’s Terrorist Exclusion List; (iii) appears on the Bureau of Industry and Security’s Denied Persons List; (iv) appears on the Consolidated List of Targets published by the U.K. HM Treasury; (v) appears on the Consolidated List published by the A.U. Department of Foreign Affairs and Trade or (vi) is subject to sanctions in any other country; and (2) you are not listed in the MasterCard MATCH terminated merchant database or Visa terminated merchant file. To the extent that our control permits and in our sole discretion, Matcherino may attempt to verify the identity and other information you provide to us , and we may delay, withhold, reverse or refund any funds or other amounts without notice or liability in the event we are unable to verify any such information to our satisfaction. Merchant eligibility is subject to Matcherino’s review of the fulfillment status of prior crowdfunding obligations. Matcherino reserves the right to prohibit or remove an event if you are delayed by three months or more in fulfilling a prior crowdfunding project on Matcherino or another platform. are not subject to backup withholding tax because: (a) you are exempt from backup withholding, or (b) you have not been notified by the Internal Revenue Service (IRS) that you are subject to backup withholding as a result of a failure to report all interest or dividends, or (c) the IRS has notified you that you are no longer subject to backup withholding. You understand that failure to abide by these terms may result in an attendee forfeiting a Prize Pool award, and you agree to communicate these restrictions to all attendees competing for a Prize Pool award. You may not use the Services for an event that violates or facilitates the violation of any applicable local, state, provincial, national or other law, rule or regulation, including without limitation the prohibitions enumerated in our Site’s most current Terms of Service. You are not permitted to create an event to raise funds for illegal or non-approved activities, to cause harm to people or property, or to scam others. You must comply with all applicable laws and regulations in connection with your event. You shall not make any false or misleading statements in connection with your event. You understand that you must have authorization to use third party assets and games from their respective owners or publishers for the event. You may not use the Services for any of the following transactions: (1) any transaction that is fraudulent or criminal in nature; (2) any transaction that would constitute a “restricted transaction” as defined in the Unlawful Gambling Enforcement Act of 2006 or Regulation GG; (3) any transaction that would constitute sending money to another party other than for the purchase of a bona fide Order; or (4) those specific prohibitions enumerated in our Site’s prevailing Terms of Service. If you are operating in one of those jurisdictions, you may only allow players to participate in a tournament if such participation is free of charge. WE DO NOT GUARANTEE THAT THIS IS AN EXHAUSTIVE LIST OF ALL RESTRICTIONS OR PROHIBITIONS ON ENTRY FEES, OR THAT THESE TERMS PROVIDE A COMPREHENSIVE LIST OF ANY LEGAL LIMITATIONS ON YOUR EVENT. AS DESCRIBED ELSEWHERE IN THESE TERMS, IT IS YOUR SOLE RESPONSIBILITY TO ENSURE THAT YOUR EVENTS ARE OPERATED IN FULL COMPLIANCE WITH ALL APPLICABLE STATE, LOCAL, AND FEDERAL LAWS. You may not offer any contest, competition, giveaway, sweepstakes or similar activity or any activity involving an element of chance that may award a prize (each, a “Promotion“) using the Services, unless provided with Matcherino’s prior written permission which may be granted or withheld at Matcherino’s sole discretion. Organizers may request permission from Matcherino by sending an email to support at matcherino.com. Subject to and upon any such permission, you further acknowledge and agree that: (a) you shall be solely responsible for all facets of each such Promotion; (b) such Promotion does not require any payment as the sole method of entry into the Promotion; and (c) the official rules for such Promotion shall include clear and conspicuous language that states that: (i) Matcherino does not sponsor, endorse or administer the Promotion; (ii) each participant or entrant in the Promotion releases Matcherino from any and all liability; and (iii) all questions concerning the Promotion must be directed to you and not to Matcherino. food product(s) lacking an expiration date that is clearly printed and stated on the product packaging. You further represent and warrant that any goods sold using the Services: (i) will have title will be free of all liens, claims, debts, and rights of third parties; (ii) are genuine and not adulterated, misbranded, or mislabeled within the meaning of the Federal Food, Drug and Cosmetic Act; (iii) are articles that may be introduced into interstate commerce without other precondition; (iv) are not be subject to any import quota, restriction, rule, or regulation preventing the importation or sale of the Products or any component thereof, and will not be subject to any duty, tariff, or penalty; (v) will be free from all defects in material, workmanship, and design; (vi) will be merchantable and safe, appropriate and fit for the particular purposes for which products of the kind that are normally used; (vii) have been produced, manufactured, sold, and shipped in compliance with all applicable federal, state, and local laws; (viii) do not and will not infringe upon any trademark, copyright, patent, or intellectual property rights of any other person; and (ix) will have their genuine origin stated on the Country of Origin Declaration, Invoice, Visa, and other importation documents, and no shipment will be illegally transshipped from any other country. These representations and warranties shall survive this Agreement and are in addition to and without prejudice to all other warranties expressed or implied by law. 3.12.5. Suspension; Subject to Change. We reserve the right to, in our sole discretion and without notice, prohibit or suspend access to some or all of the Services, in certain or all locations, if we believe such Service(s) would be in violation of that area’s applicable law or the terms of this Agreement. You understand that Matcherino may require you to agree to separate terms and enter into separate agreements with Matcherino to use the Services at specific tournaments as local law and commercial restrictions require; where applicable, those contracts with Matcherino would supersede these terms. Want to get engaged? 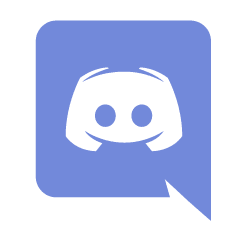 Check out our community on Discord!